Symbolic to the acknowledgement we have mustered in this market, we are instrumental in presenting a superlative spectrum of Direct Water Current Velocity Loggers. Used widely, these presented products are developed beneath the direction of trained personnel by employing supreme class inputs along with modernized amenities. Also, our products are carefully examined prior delivery. 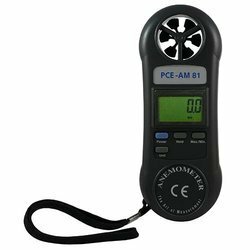 This is a small electronic hand-held device that can be used to measure flow velocity from mechanically rotating current meter. A superior feature of the DVI-K13 is its ability to store up-to five current meter data at a time and interface directly to a laptop, pocket PC, or other computing device and provide data in Ms- Excel file format that can be used externally to computer discharge. We are a trusted organization engaged in catering to the variegated requirements of the clients by providing optimum-grade Water Velocity Indicator. These zero defect products ensures high durability and long lasting optimum performance. Products we offer are widely accepted and appreciated by the clients due to their reliable features. Back up time: Upto 200 hours. Averaging: True digital running average. Reading taken once per second. Our offered range is widely used for determining Digital Water Velocity Meters. This exclusive range is highly efficient and available in various technical specifications. Used in small channels & model for measuring water velocity duly calibrated with rating chart & manual. Optional: any of the readout may be selected. 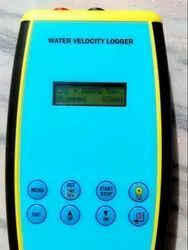 Our company is offering a premium quality range of Digital Water Velocity Meter to our most valued clients. Our products are highly admired for their quality and longer life. These are designed by using supreme quality material and modern technology. These are procurable at most affordable market prices. This Micro-controller based Water Velocity Indicator has been designed to measure the Velocity of water in a flowing stream. It can be used with any calibrated Water Current Meter. The velocity of water is calculated as per the calibration equation provided with the Sensor and displayed on the 16x2 LCD display. We are leading providers of High-accuracy acoustic current meters with vector-averaged current speed and direction. Our Current Velocity Meters are compact, light-weight and easy to set up. Also the machines we provide are easy to use and maintain. Deekay Marine Services Pvt. Ltd.